If you had to eat one fast food restaurant for the rest of your life, what would it be? What is your favorite thing about your coaches? Money: Their humor; I love how funny our coaches are. Jamie: They care about us like family and push us until we exceed expectations. Cassy: They know when it’s time to be serious and time to have fun. Juliet: Their determination to bring out the best in someone and to win. Cassy: I’m afraid of animals. Alexis: Going far, having a successful season, learning to play with confidence, and having fun with the team. Money: Putting a ring on it. Megan: Everything; it’s too hard to pick one thing. As a returning Vaquera, I am looking forward to getting to know the new players and starting the season off with a bang. All of our coaches push us to the limit, making our first couple weeks very hard but worthwhile. Last year, we did not end on a high note, and we are looking to come back and overcome the adversity headed our way. Coach Gooch feels strongly that this is a new era for Central Women’s basketball and is ready to lead the team through our growth this season. The team is highly skilled and ready to go to battle together. 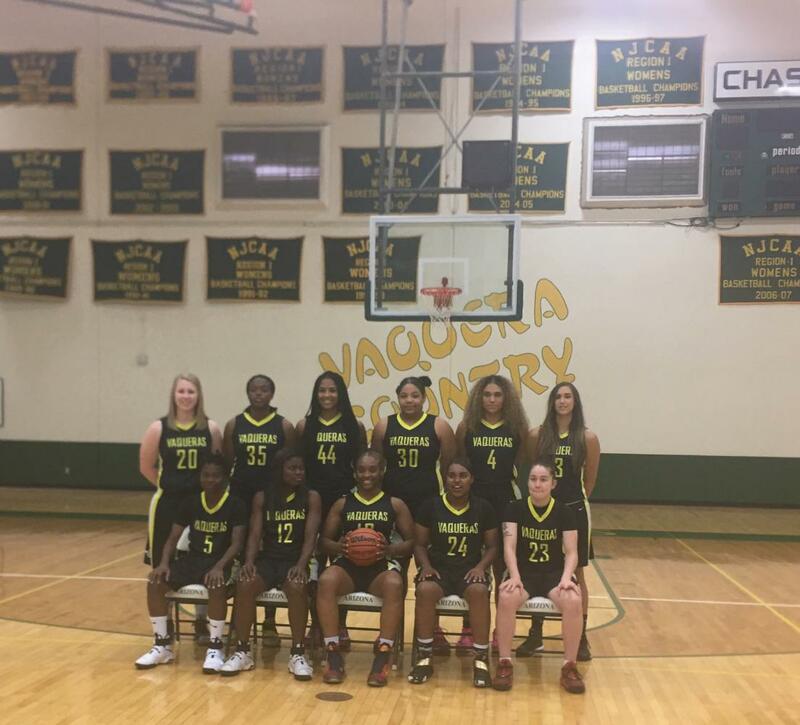 The Vaqueras begin their path to Nationals with a home opener on Saturday, November 11th at 2:00pm against Tucson Sol.